“It feels amazing, totally surreal! I had to switch off the ‘researcher’ half of my brain to be able to deliver my presentation,” said Rezan Güler. Presenting years of research in an easy-to-understand and engaging way in front of a live audience and jury is no mean feat. Rezan Güler researches proteins that can be used to develop new biological drugs to tackle cancer. In his four-minute presentation he captured the attention of the audience and jury with his calm and clear approach, and received praise for using humour, despite the seriousness of the topic. Second place went to Anders Agebjörn from the University of Gothenburg for his presentation on the challenges of learning languages. In third place came Lina Herbertsson from Lund University, who is researching how modern agriculture is affecting pollinating insects. Topics presented by the other finalists included ways to mimic natural enzymes; immersive videos; the digitalisation of patient records; and psychosocial health in the workplace. The seven researchers had qualified for the final by winning regional heats or through a national video competition. ”Research findings need to be widely communicated so they can contribute to creating a more sustainable society. The Researchers’ Grand Prix inspires researchers to broaden their communication and include different target audiences,” said Ingrid Petersson, Director General of the research council Formas, who presented the prizes. 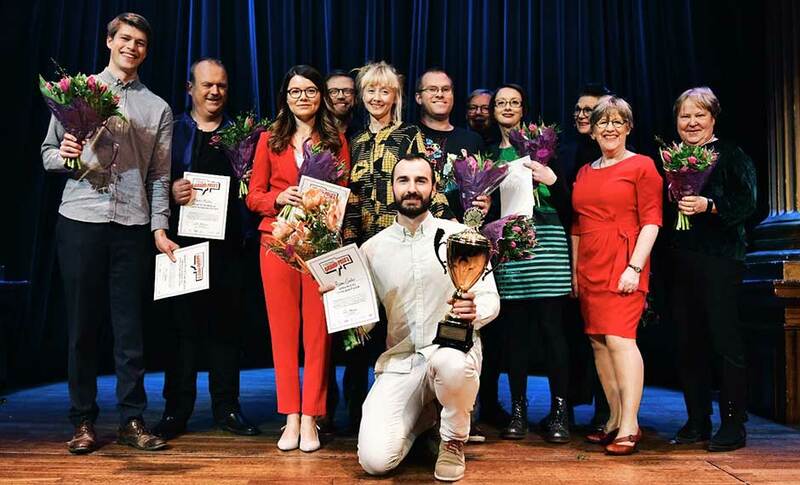 Regional heats were held in the Swedish towns of Blekinge, Lund, Skövde, Stockholm and Västerås as part of the European Researchers’ Night science festival in September. The winner was chosen by a live audience along with an expert jury consisting of Patrik Hadenius, CEO of the Swedish association Utgivarna; actress and director Katrin Sundberg; and Agnes Wold, Chief Physician and Professor at the University of Gothenburg. The Researchers’ Grand Prix is Sweden’s largest science communication competition for researchers. The contest has been held annually since 2012 and is organised by Swedish non-profit organisation VA (Public & Science) together with the research councils Formas, Forte, Vinnova and the Swedish Research Council. The national final was held on 27 November in Stockholm. The final is also available to watch online (in Swedish only).